There is an image that has gone all over the internet because apparently, only 1% of those who have seen it can spot the hidden animal in the image. 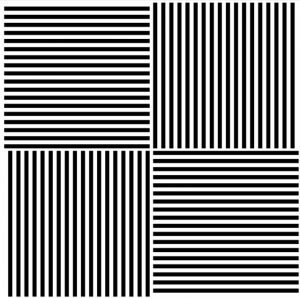 At first glance, this image might look like just a whole picture of zig-zag black and white lines but the truth is, there is more to it than just lines. 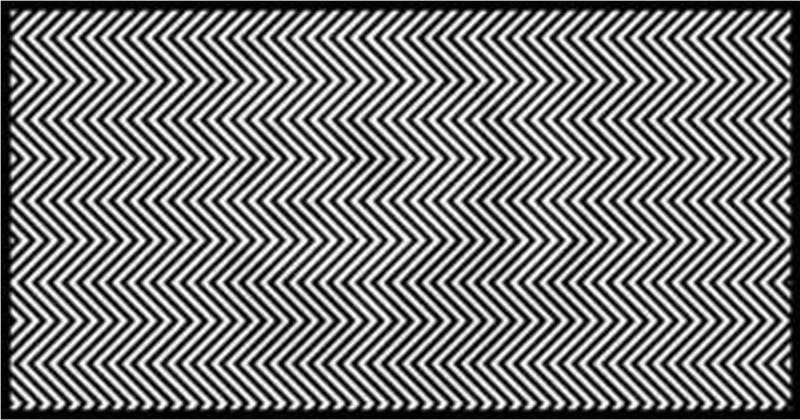 In fact, there is an animal hiding behind the black and white lines but not many people can spot it at first glance. The viral illusion image is known as “They Can Disappear”, art created by Russian artist Ilja Klemencov. While some people can see what the hidden animal is, many others have to squint their eyes for a couple of minutes before finding it. If you can see it, congratulations, but if you cannot see it, do not feel discouraged and try again. 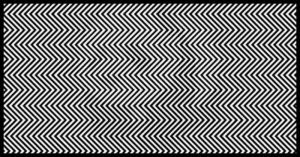 Some people have to look at the illusion from a distance and some even have to take their glasses off but once they see it, they will know that the hidden animal is actually a panda! The illusion is a creative symbol to highlight what pandas in the wild are going through as they keep losing their habitat, making them at high risk at going extinct as their population decreases. According to News.au, how you perceive illusions depend on how your brain sees things. Some people have no to little difficulty as solving an illusion while others find it difficult. This is because of illusions can sometimes trick some people brains better than others. If that is not enough, try the next illusion. This bizarre trick will lead you to see black and white lines as colored ones after staring at horizontal and vertical lines of red and green for a few minutes. This effect is called the McCollough Effect. Unfortunately, this trick can affect your vision for up to three months so do it at your own risk. Look at the red and black stripes for a few seconds. 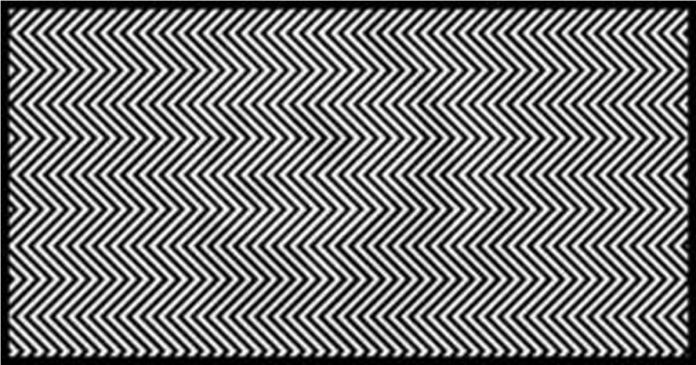 Then, look at the green and black stripes for a few seconds. Next, look at the red and black stripes again and alternate between the colors for at least three minutes. After three minutes, look at the image of black and white stripes. The white horizontal stripes should appear green while the vertical stripes should appear red. 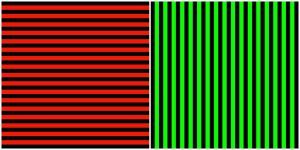 The longer you stare at the green and red stripes, the longer and more pronounced the effect will be. 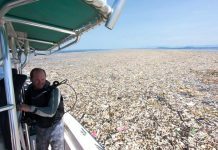 So, how can this effect happen? Just like how a camera’s flash or looking directly at the sun can stay in your vision for a while, so does this trick. This is because of the illusion happens at the brain level, not just in your vision.